Bella Pelle's mission is to resolve every woman's dark underarms and chicken skin problems. 3. Aluminum Chloride Based Antiperspirant - Because most of the discoloring of the underarms occurs when commercial deodorants react with oil and sweat, the kit supplies a replacement antiperspirant that is odorless and is so powerful that it's prescribed for people with hyperhydrosis (excessive sweating). The antiperspirant contains Melawhite which is a whitening agent that will continue to even out the skin after the initial bleaching. It will only take 7-10 days for your underarms to be lighter and more natural looking! The complete kit costs P1,120.00. 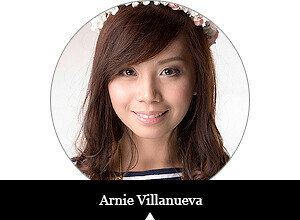 But you can get 45% off on the kit (P621.00) if you'll use my promo code: ARNIE :) Great deal, right? Bella Pelle ships both nationwide and internationally. 1. Like Bella Pelle on Facebook here. 2. Like Raid My Closet on Facebook here. 3. Follow @listentoarnie on Twitter here. 5. Share this photo on Facebook. 6. Leave your full name, link of your tweet and email address on the comment box below this post. Make sure to do all those steps in order to qualify! :) This giveaway will run until June 20, 2013.